Extremely beautiful and vibrant, this 3D daffodils flower pattern is amazing! 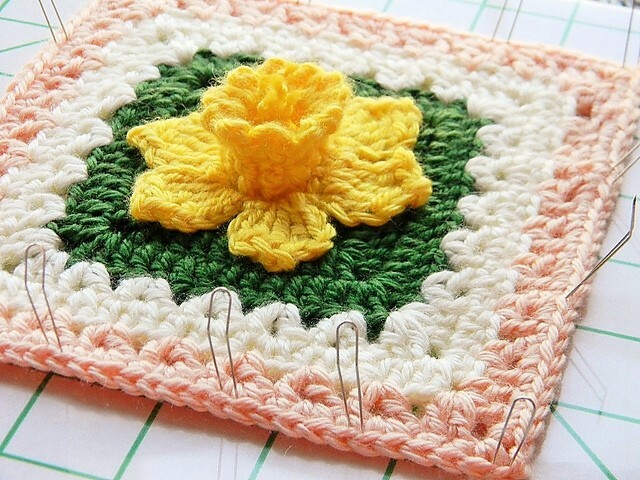 An afghan made using this pattern would look like a magic field of daffodils staring at the sky in the morning. The Daffodowndillies Square by Linda N stands out with cuteness and prettiness, this summery pattern will never go unnoticed. I case you wonder, there are no sewing parts together. 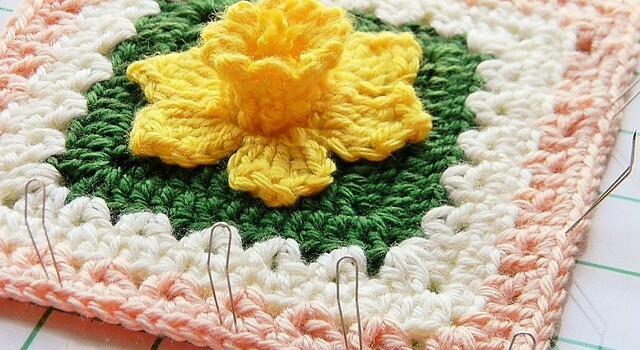 This pattern builds the flower and is quite simple to make if you know how to make the crossed double crochet, V-stitch, treble, and double treble crochet stitches. This pattern is made using a G crochet hook in worsted weight yarn in three colors. I used yellow for color A, sage green for color B, and white for color C.
Thanks to Linda N for the article inspiration and featured image. [Free Pattern] Virus Sort of Crochet Blanket Is Spectacular! I like flowers so much. Crocheting is my favourite hobby. When I saw your daffodil – it is amazing.